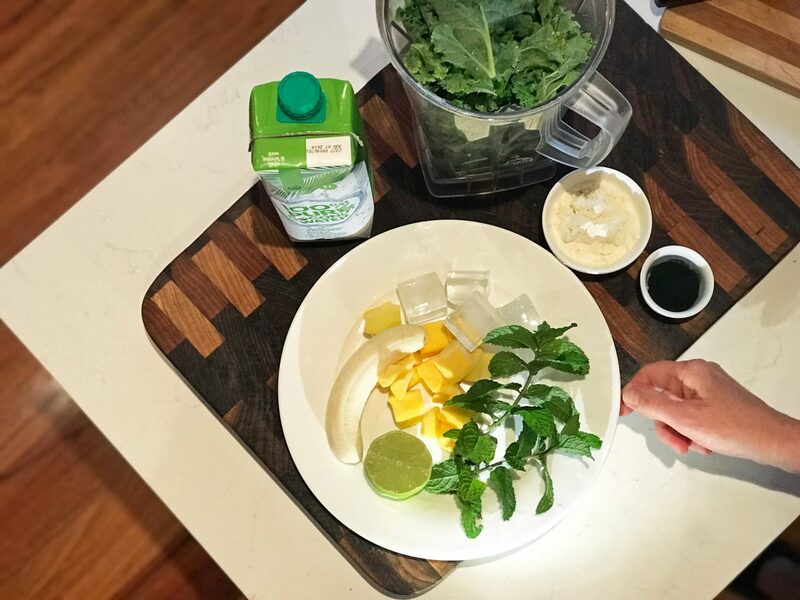 You’ll love this heathy green smoothie recipe we created at The Lily Pad. It’s dairy-free, bursting with vitamins and guaranteed to taste great. If you're not yet growing your own kale and mint, give it a try. This recipe was borne out of the need for a healthy, energy-giving, appetite-fulfilling drink on the go. We purchased a good quality double-walled stainless steel drink bottle with a large opening and a simple drinking spout to enable easy pouring and cleaning afterwards. We also invested in a bottle cleaning brush and a stainless steel drinking straw which comes with its own mini cleaning brush which ensures a perfect clean every time. 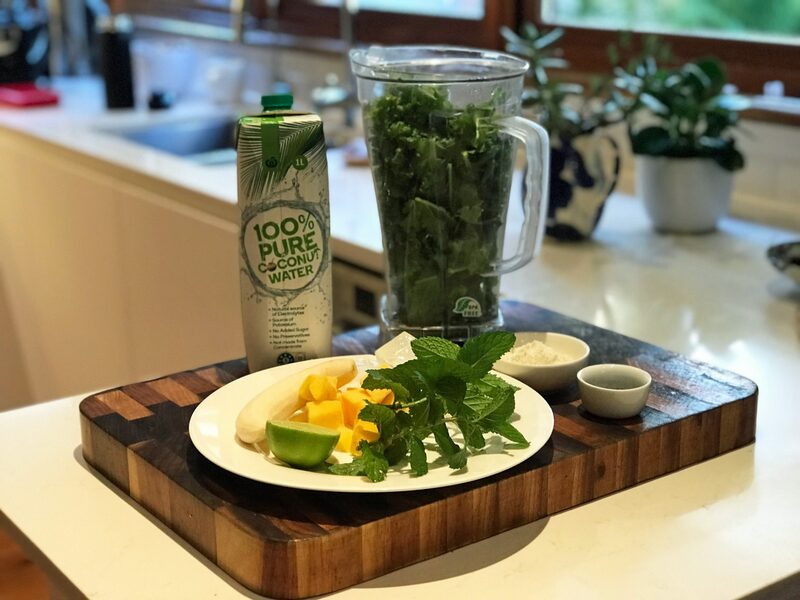 In a large heavy duty blender, combine all ingredients in the following order: Start with kale and mint, then top with banana and mango, pour over coconut water and lime juice, then ice cubes on the top. Add Spirulina and protein powder last. 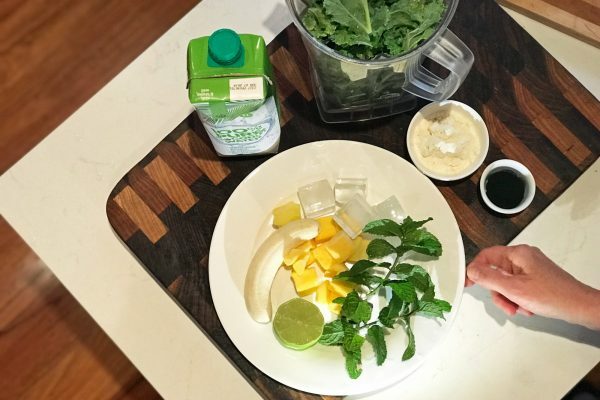 Adding the ice cubes and any other frozen ingredients last, on top of the loose leaves, ensures the blender won’t be shocked into a frozen stalemate and seize up! 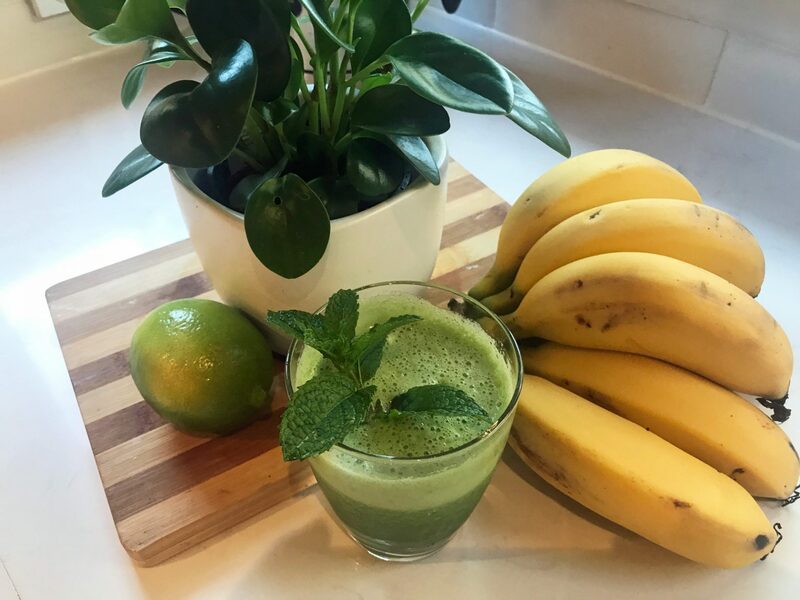 Blend it all until it’s nice and smooth and a vibrant green colour. Ideally, it should be nice and COLD and not too thick. 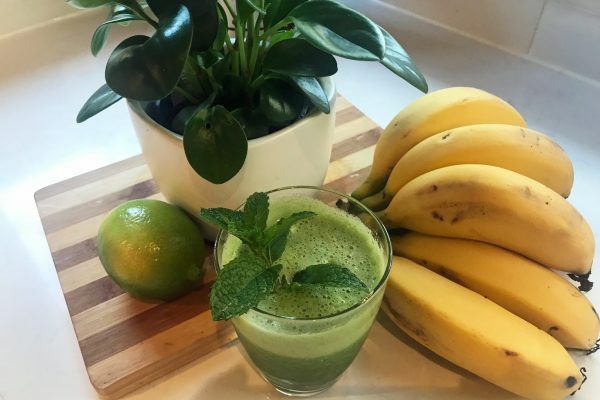 A thick, room temperature green kale drink might turn you off smoothies forever! Stock up on frozen bananas. It’s a great way to use up bananas that are ripening too fast for you to eat. Peel them first, then store in a container in the freezer. We have used packaged frozen mango, but will definitely be making our own frozen mango cubes next summer when they’re in season. We have been known to swap out the frozen mango for some frozen pineapple, which works very nicely too. 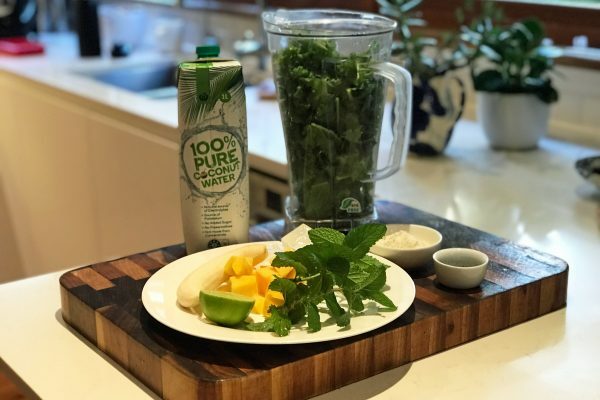 You can buy Spirulina from a health food store.